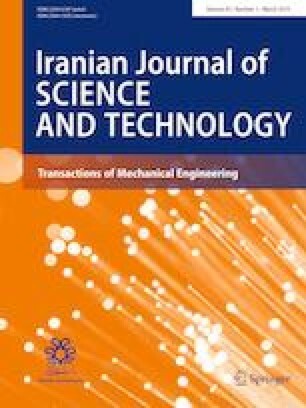 This paper presents an analytical solution based on four-variable refined plate theory for dynamic analysis of cross-ply composite laminates integrated with piezoelectric fiber-reinforced composite actuator attached to the upper surface. This theory considers parabolic transverse shear strains through the plate thickness. Equations of motion for simply supported rectangular plates are derived using Hamilton’s principle, and Navier’s method is employed to solve the equations. An unconditionally stable implicit Newmark scheme is used for temporal discretization. The accuracy of the present analytical solution is proved by comparing the results with those obtained by the finite element analysis. The effects of different parameters such as thickness-to-side ratio, aspect ratios and types of mechanical and electrical loading on the deflections and stresses are investigated.